Versatile and trendy, this ring is made from silver tone metal. 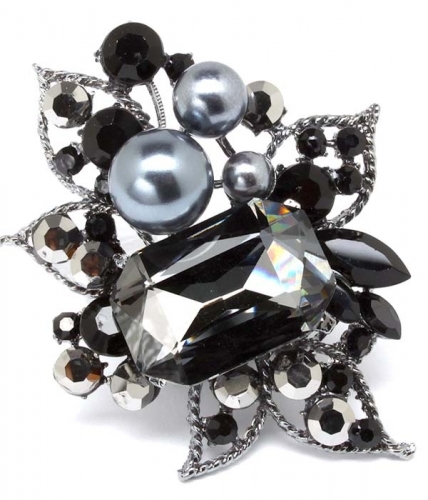 The accessory features floral details adorned with black crystals. A large faceted crystal stone and three grey pearls complement the look. Buying jewellery online has never been so easy and fun. We hope you enjoy shopping at Oz Bling.